If there is one thing that I could use a lot more of, it would be some decorative serving trays for entertaining. Both the kind for carrying and displaying come in real handy during a gathering and the nicer looking they are the better. It’s kind of like gift wrapping on a present! For casual entertaining, I really like the rustic wooden or more industrial trays. Because making your own trays can be more unique and budget friendly, I came up with this collection of DIY trays. 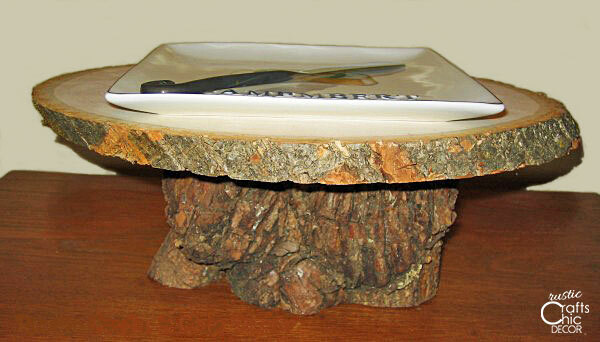 A tree burl was used for the base of this one but I have also made them with sections of birch or pine logs as the base. 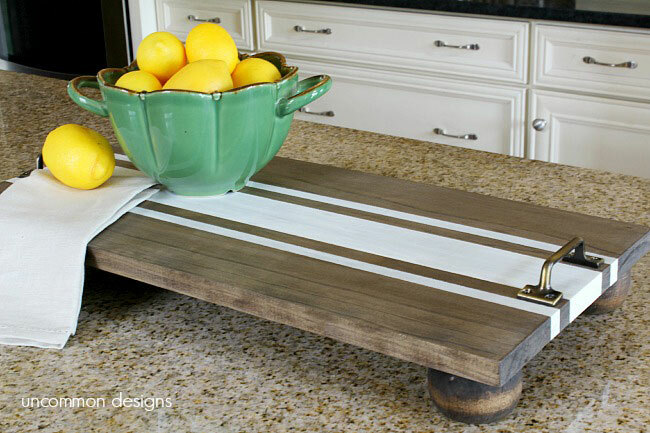 This ticking striped tray looks expensive but is easy to make. I love the stripe that reminds me of a grain sack. Because the wood tray is sitting on furniture feet, it looks more high end. This next serving tray was made from a piece of wood that was given a weathering technique. I love how the weathered look turned out! 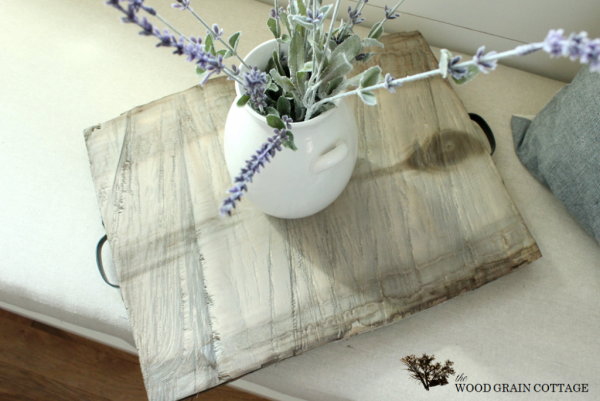 This rustic wood tray is perfect for entertaining or keeping out on display. 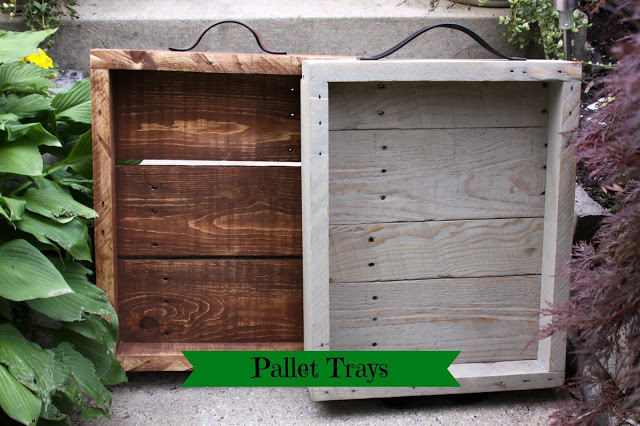 Pallet projects are very popular so it is no surprise that there is a DIY pallet tray project out there. 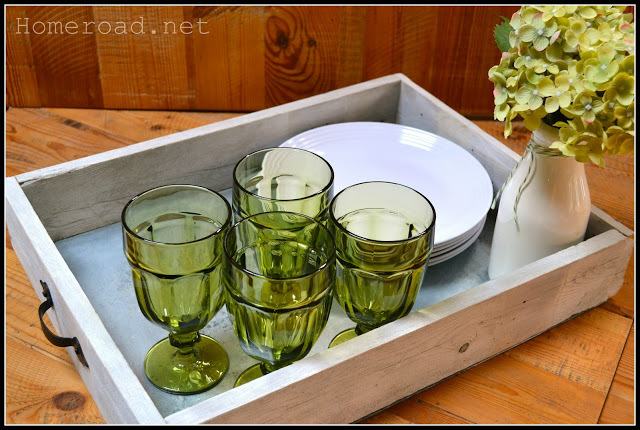 Our Pinteresting Family shows how to put together some fun rustic serving trays using pallets, belts and a couple different stains. Sometimes a variety of materials can make up the cutest tray. 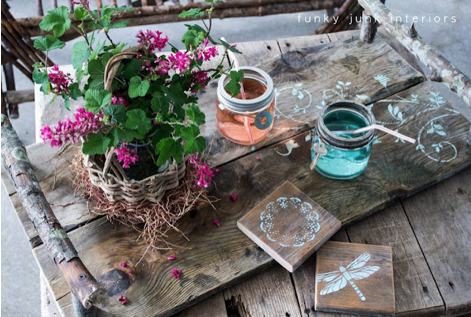 This rustic chic tray by Homeroad is made up of old fence pieces, a sheet of galvanized steel, and a cabinet handle. I love the added wooden coasters as well!